As I was leaving my office to head to the airport to fly to Mexico City for a workshop on conflicts in extractive industries, I saw the completed printout of Rafael’s dissertation sitting on my desk. Rafael is my soon-to-graduate PhD student. I felt an extreme amount of pride, while also realizing what an enormous amount of work this doctoral dissertation has entailed. Rafa did ethnographic fieldwork for two years analyzing three cases of water conflict, plus a quantitative analysis of a global dataset. I think it’s a testament to his effort that his thesis is already being referenced as a key source for the topic. But reaching the point where we could narrow his topic wasn’t easy. Most of my students have extremely ambitious goals for their undergraduate honors and graduate (Masters and PhD) thesis. Often, I worry if this is because I’m a demanding supervisor and they feel they need to do grandiose, ambitious, all-encompassing projects or because we all face a challenge trying to narrow a topic. I think it’s more the latter than the former. We all tend to want to do research that is broad in scope. This morning, I mused on Twitter that I found my students to be over-eager and really excited about their research topics, and that they often want to “solve the world’s problems” with their theses/final papers/dissertations. You can read my Twitter thread here and the excellent responses to it. I need to write a blog post about narrowing topics for a thesis. My experience mentoring and graduating students tells me it's important. Obviously, there are a few things that I want to highlight about doing a supervised research project that I think are worth remembering, in particular because my students often ask me “so, how narrow is narrow?”. This is a question that necessitates an in-depth discussion between each individual student and their advisors. Many students come to me wanting to do broad-ranging, ambitious topics. I always tell them to be focused on a narrowly defined project. I find that it’s easier to expand the scope of a project than to narrow it. I also worry when the project is vaguely defined and unclear. There are clear differences between types of research and writing projects. In my view, a doctoral dissertation is a long-term piece of research that demonstrates competency in conducting independent, in-depth scholarly investigations where the domain knowledge is broad, and where the research contribution is original and quite clear. This is challenging for a lot of students because the “what is a contribution” question pops up. I believe you can make theoretical and empirical contributions, and PhD dissertations often have both, but they need at least one of these. One reason why the 3 papers model for a PhD thesis is so popular is because it allows the student to demonstrate competency, depth and originality in a broad range of topics. Depth and breadth of insight are usually tested through doctoral qualifying/comprehensive exams (though I’m well aware of the British model that doesn’t involve comprehensives). For me, doing a PhD is about showing an ability to conduct competently executed, adequately deep and broad research with a contribution. In my view, two elements are fundamental to the development of a doctoral dissertation: independence and degree of dominion of the knowledge domain. As a doctoral researcher, you should be able to conduct your research independently, even if the advisor is there to guide you. You should also have covered the literature broadly and deeply enough. At the doctoral thesis’ defence, it should be obvious that the student has now become the master at the topic. 2 key elements in PhD-level work are independence & domain knowledge. You *have* to independently become THE expert at topic & teach ME. The SOCK test (specific, original contribution to knowledge) is a good one that should be applied to doctoral theses all around. Our chair always pushed for a SOCK (specific, original contribution to knowledge). In my view, a Masters’ thesis (as its name indicates) is supposed to demonstrate mastery. We may define mastery in different ways, but I do believe you need to show that you’re competent at investigating a particular research topic and at undertaking theoretical or empirical work that moves our understanding of a phenomenon forward. For example, for me, a Masters-level thesis is an empirical examination of patterns of bottled water consumption. Or a collated and analysed set of stories about consuming bottled water and the rationales behind them (both of these are Masters’ theses of two of my students). I get Masters' students wanting to do PhD-level research with fewer funds and shorter time frames. You can't do that. Narrow the topic! The problem with Masters’ students wanting to do PhD-level kind of work (or too broad of a project) is that they are often given a shorter time frame, which often requires them to rush through courses and do their thesis under financial duress and time constraints. Thus the importance of narrowing the research topic. It’s also important that the Masters’ student supervisor/advisor is realistic in terms of expectations and ability to achieve goals within the shortened time frame, and often within tight budgets or the risk of facing a shortage of funds. While it’s important that the topic is adequately covered and that the contribution is original, it doesn’t need to be a grandiose or far-ranging contribution. As Dr. Prieto indicates in her response to my tweet, an in-depth case study or an application of a theory to a different dataset could be an original contribution. Master's theses should make an original scholarly contribution too. Just within a narrower scope, as you say. A good, narrow thesis topic is often a case study, w rich context. Again original but publishers tend to want wider scope. It IS important that the topic of the Masters thesis is narrow in scope, but competently executed. 3. An undergraduate (honors) thesis. I teach in the undergraduate program in public policy at CIDE. My undergraduate students tend to be REALLY ambitious and want to change the world, and I am grateful for that. But that’s not the goal with their undergraduate theses. For me, an undergraduate thesis can be a systematic literature review, an application of a research technique to an interesting topic, a test of a theory or an empirically-inclined paper using data that are often not available. An undergraduate thesis doesn’t necessitate an original contribution in the sense of a Masters’ or PhD- level one. There are various reasons why undergraduate students (or even graduate ones) want to do very broad topics, resulting in thesis that are not narrow enough. My experience has been that the bigger hurdle is emotional – "narrowing" feels like giving up on ideas that are important. But as discussed above, you can do a perfectly competent undergraduate honours thesis just by doing a systematic policy analysis, a solid literature review, an interesting exploration of a known quantitative or qualitative research technique, an empirical (or descriptive) case study, etc. 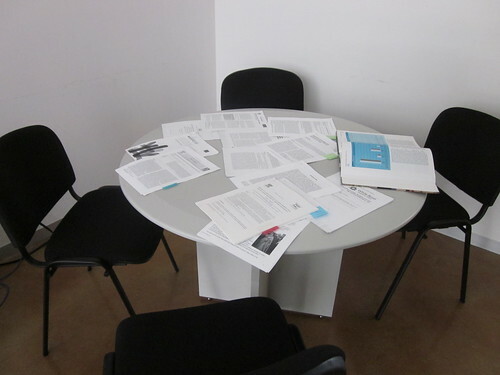 Seminar research papers tend to also be overly ambitious, as Dr. McConnaughy indicates below. Best thesis-writing advice I got when I was in grad school was, "remember this is *not* your life's work; it's just your way in." Students need to remember that a thesis is also an administrative exercise. Get it done and then move on to interesting work. Can this study be undertaken within a reasonable (12 months/24 months) time frame? Do I have the necessary funding for the entire period of time that this study will require me to do work/fieldwork/laboratory experiments? Am I trying to do more cases than needed to prove the hypotheses I’m testing or answer the research questions I’ve posited? Are the research questions posited aligned with time, budgetary and resource constraints? Again, and let me reiterate this: narrowing the topic should be a dialogue with your supervisor. You’re not alone in the process. Tagged with research, student advice.